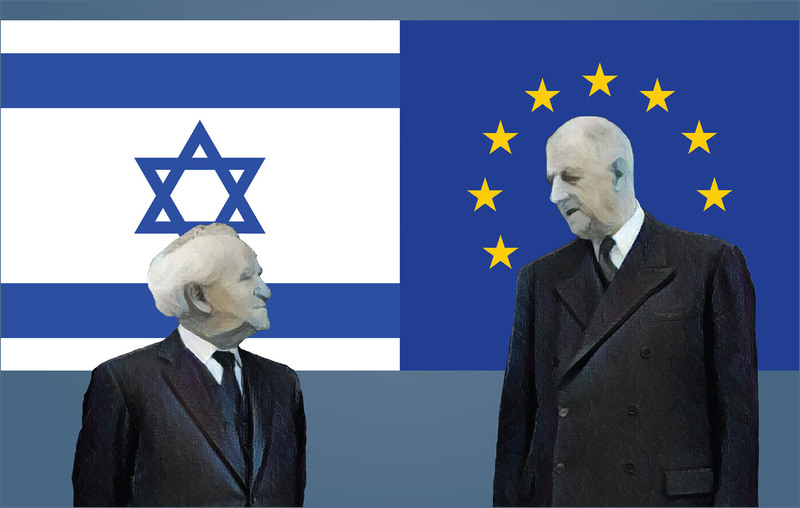 The European Union has a very complex relationship with Israel, characterized simultaneously by strong links and generalized antipathy. This happens, not just because of issues related to the conflict, such as the settlements, the borders, and so on, but because the European Union, enveloped in multiculturalism, Marxism, and postmodernism, still struggles to understand the dynamics of radicalization in the Middle East, which is mostly drawn in Islamist shades. The case of Hamas is emblematic. The fact that this Islamist organization is still blacklisted by the EU Council as a terrorist entity does not imply by any means a full understanding and consequential rejection of the ideology underpinning the Palestinian branch of the Muslim Brotherhood. However, it is necessary to ask oneself what the ideological roots of this anti-Semitism are, as this would clarify the bigger picture. Hamas’ anti-Semitism is no different from the overall ideology of the wider Muslim Brotherhood (MB), to which it explicitly belongs. Failing to frame Hamas’ violence within this ideological/religious context, may lead – at best – to condemning the attacks against civilians as a criminal but not an ideological act. At worst, some condone the violence as a romantic “struggle for freedom” (in a similar vein to how so-called “intellectuals” labeled leftist terrorism in Europe). In either case, a proper understanding of the root causes of terrorism remains out of reach, and so too a counter-strategy. Europe has long adopted a specific set of lenses to read Middle Eastern conflicts and radicalization alike: Through the Marxist lens, everything can and must be explained in terms of economic and social power; the Third World and anti-colonial lens attributes the ultimate guilt of every worldwide phenomenon to the West and its “vassals.” The third lens focuses via relativistic multiculturalism, a perverted child of pluralism (one of the most precious conquests of liberal thought), deforming the latter to make every cultural behavior acceptable – even as it denies the rights of others and the freedoms we cherish. It took one of the deadliest waves of terrorist attacks on European soil to start awakening the Sleeping Beauty from its (ideological) slumber. Those who have devoted the best efforts of their lives to massacring innocent people in airports, museums, nightclubs, supermarkets, and restaurants, are not starving and homeless, but often middle class and generously supported by the same states they wish to destroy. They often know nothing of Palestine or Syria, nor are their roots from there; still, they may derive their aggressiveness and frustrations from the situations there, as confirmed to me by first-line practitioners working with problematic youth and inmates in Belgium. A more and more radical Islam, which is supplanting traditional forms of faith among European Muslim communities to the extent that experts talk about mainstreaming of Salafism,10 provides the ideological fuel. And still European governments and EU institutions struggle to see the connection between the religious ideology and violence. Incredibly, their preventative strategies have repeatedly entailed the empowerment of organizations promoting Islamist ideology, under the banner of their alleged rejection of violence. Such a fallacy becomes immediately glaring with a simple comparison: who could deem nonviolent neo-Nazis our allies in the fight against the violent ones? Let us not be mistaken here: there is surely a substantial difference between promoting radical ideas and turning them into action. Nevertheless, this elementary acknowledgment does not contradict the equally elementary need of using the appropriate means to tackle both heads of the hydra, not pretending to distinguish between a good and a bad. The European Commission, for instance, has not hesitated to finance a Sharia-based method to prevent religious radicalization within European civil societies” implemented by the Muslim Association of Ireland,11 an organization with strong ties to the Islamic Cultural Centre of Ireland (ICCI).12 The last-mentioned is well known for being under the MB umbrella Federation of Islamic Organizations in Europe (FIOE) and for hosting Al-Qaradawi’s International Union of Muslim Scholars (IUMS) and European Council for Fatwa and Research (ECFR).13 After an ICCI member recently promoted female genital mutilations live on TV14 or the ECFR issued fatwas sanctioning death penalty for apostasy,15 one must wonder what the “Sharia-based methods to prevent religious radicalization” look like, and, above all, why the European taxpayer should finance such things instead of liberal Muslim groups advocating for secularism. Hence, we must have the intellectual courage of looking in the eyes of the heads of the hydra, identify their connection to the same body, and counter all of them in the name of our liberal democratic values. Appeasement in the hope of being spared, besides being immoral, has never been a particularly brilliant idea. Hamed Abdel-Samad, Islamic Fascism (Prometheus Books, Amherst, New York, 2016), p. 28. Tibi, mentioned in Valentina Colombo, “L’antisemitismo ‘sacralizzato’ nell’ideologia dei Fratelli musulmani,” in Il negazionismo: un fenomeno contemporaneo, ed. Francesco Germinario, (Carocci, 2016), p. 110. David D. Kirkpatrick, “Morsi’s Slurs Against Jews Stir Concern,” The New York Times, January 14, 2013. https://www.nytimes.com/2013/01/15/world/middleeast/egypts-leader-morsi-made-anti-jewish-slurs.html. “Sheik Yousuf Al-Qaradhawi: Allah Imposed Hitler upon the Jews to Punish Them – ‘Allah Willing, the Next Time Will Be at the Hand of the Believers,’” MEMRI – The Middle East Media Research Institute, January 28, 2009, https://www.memri.org/tv/sheik-yousuf-al-qaradhawi-allah-imposed-hitler-upon-jews-punish-them-allah-willing-next-time-will. Valentina Colombo, “Tareq Suwaidan, Predicatore Antisemita in Italia. Ecco Le Prove Del Suo Estremismo,” Informazione Corretta, April 4, 2016/ http://www.informazionecorretta.com/main.php?mediaId=115&sez=120&id=61964. Dr. Tommaso Virgili works at the Brussels-based policy center European Foundation for Democracy, where he specializes on a number of projects related to European policy, prevention of radicalisation and Islamism. He has previously held posts at the European External Action Service (covering Egypt, Syria, Lebanon and Jordan), the Middle East Forum in Philadelphia and the Italian Permanent Mission to the United Nations in New York.